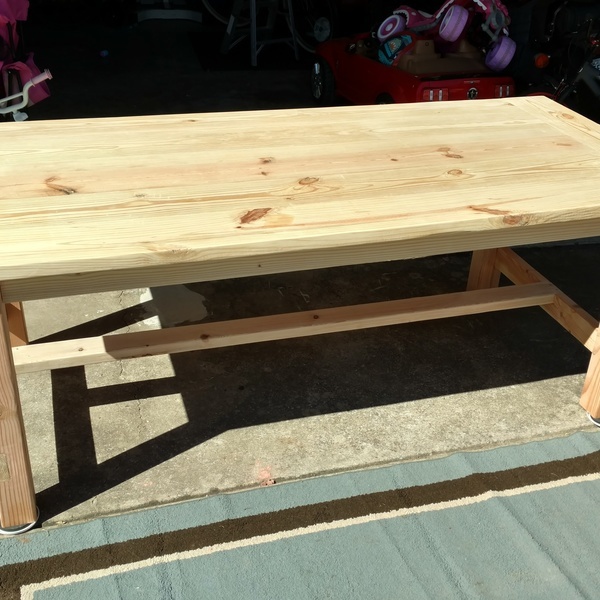 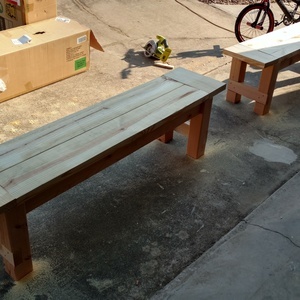 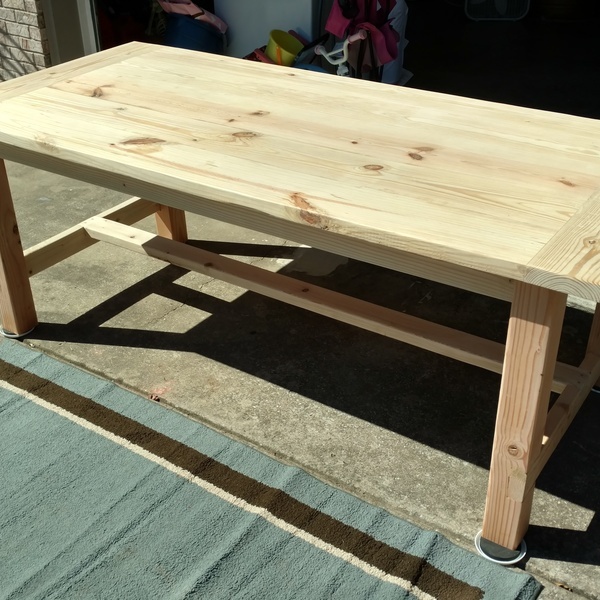 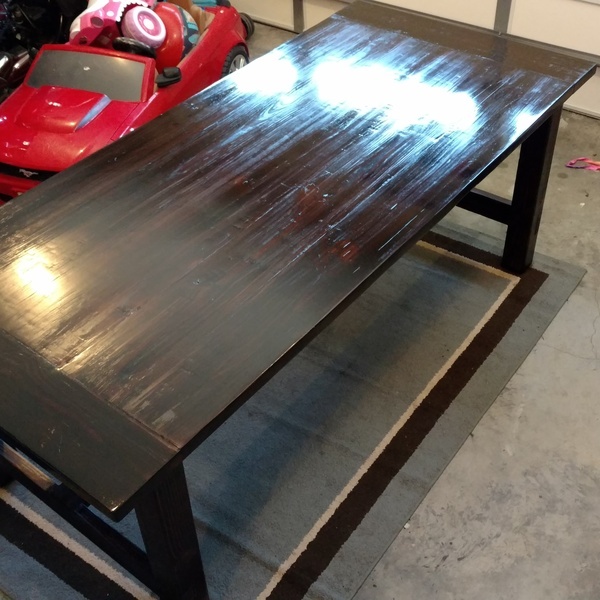 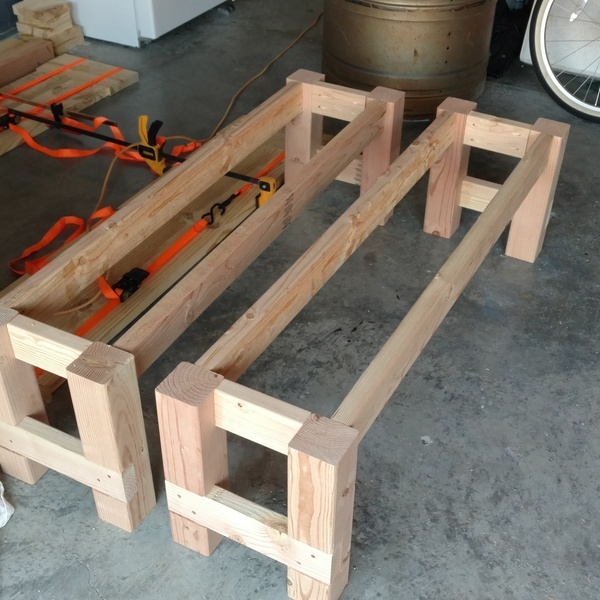 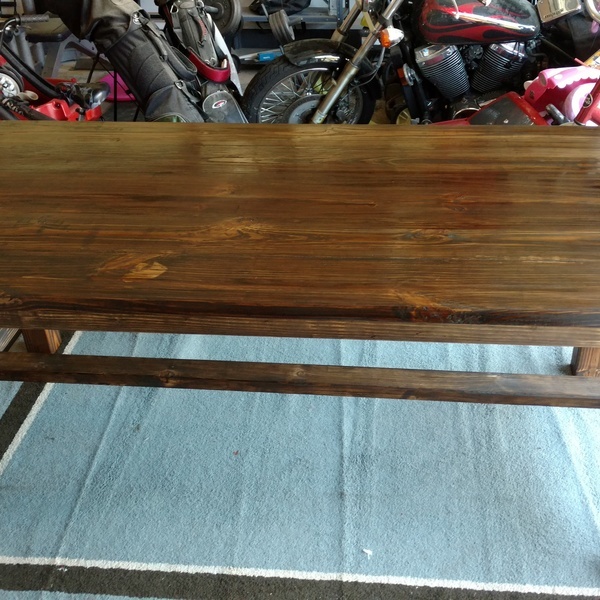 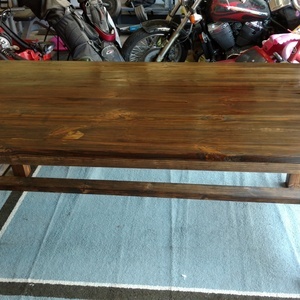 Simple farm house table made from pine lumber from home Depot and all Ryobi tools. Stained with esspresso and poly coated. 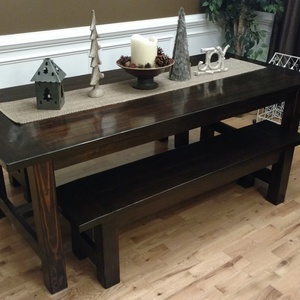 Your table turned out great! 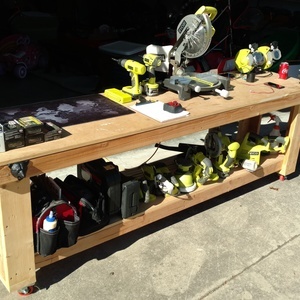 Glad to see all those awesome green tools you used to complete your project!